Barclaycard has announced a new Apple Rewards card offer. Customers can receive three points per dollar spent at the Apple Store, two points for restaurants, and one point per dollar on all other purchases. Once you reach 2,500 points, you’ll receive a $25 Apple Store Gift Card. The new offering is an improvement on the previous Barclaycard with iTunes Rewards card. That plan offered two iTunes points for every dollar spent at any Apple Store or the iTunes Store, and one iTunes point for every dollar spent elsewhere. On the downside, iTunes purchases are not qualifying Apple purchases with the new card, meaning you won’t receive extra points for iTunes or App Store purchases. The new Apple Rewards card works with Apple Pay and includes an embedded EMV chip that is compliant with Chip & PIN security. 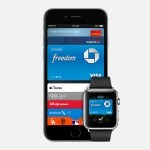 Barclaycard and Visa were among the first to accept Apple Pay. 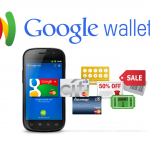 See also: The arrival of Apple Pay has buoyed interest in Google Wallet, The MCX CEO says that its members can accept Apple Pay within ‘months, not years,’ and Cumberland Farms joins the list of retailers who will accept Apple Pay.